Daughter/Social Worker for Rent! 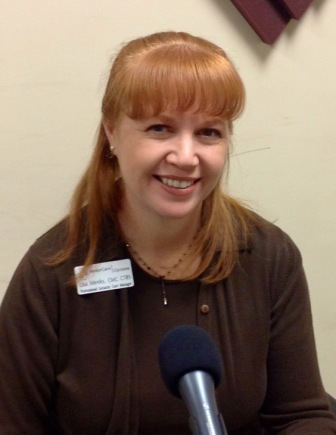 How Lisa Meeks Helps Families Navigate Care for Aging Loved Ones! According to Lisa Meeks, owner of Senior Care Options, a geriatric care manager is a cross between a case worker and a daughter. Beginning her career as a recreational therapist, Lisa watched her mother start a care management business in Chicago. Twelve years ago, she decided to follow in her mother’s footsteps when she opened Senior Care Options. Lisa’s firm takes a team approach to each client. This brings a wealth of experience to bear, including the skills of social worker, nurse and professional counselor. Listen in as Lisa describes the value her team provides as they evaluate everything from in-home care options to care recommendations made during a doctor’s appointment. It is clear that Lisa loves her work, and is committed to caring for every aspect of a client’s care. To find out more about Lisa’s proactive, problem-solving approach, contact her at 770-579-9177, or visit her website at www.seniorcareopt.com.